Lucy Anne Hurston, the niece of literary luminary and Harlem Renaissance writer Zora Neale Hurston, is the author of Speak, So You Can Speak Again: The Life of Zora Neale Hurston. Though only three years old when Zora died in relative obscurity, Lucy Anne Hurston has, over her lifetime, compiled a detailed knowledge of her aunt’s life and work with a historian’s observant eye. Zora Neale Hurston was raised in Eatonville, Florida, the first all-black community to be incorporated in the United States. After some time at Howard University, she went on to Barnard College in New York City and worked under the pioneer anthropologist Franz Boas. Among the major figures of the Harlem Renaissance, Zora stood out: she was a liberated woman in her time, one who wore slacks and smoked in public; yet, she was politically conservative, in contrast to many of her fellow Renaissance writers and artists. 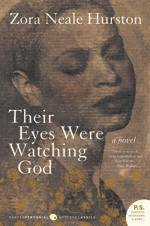 Her work drew heavily on her anthropology training; her most famous novel, Their Eyes Were Watching God, is enriched by her use of African American dialect. 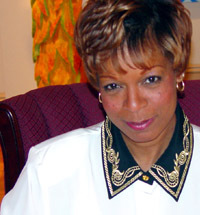 Lucy Anne Hurston’s own work as an academic sociologist, with field research in Jamaica and St. Kitts, among other places, provides her with a unique connection to her aunt’s perspective and life. She has been the producer and host of two documentaries on Zora and the director of a high school production of her play Mule Bone. Lucy Anne Hurston currently teaches sociology at Manchester Community College (CT) and lives in Bloomfield, Connecticut. "[Lucy,] Thank-You so very much for sharing your stories and history with the students and staff at Milwaukee African American Immersion High! We enjoyed the personal interaction with the audience. It was very inspiring not only for the students, but for me also."